Straightpoint have a full catalogue of load monitoring and tension meter products, manufactured in the UK and with a worldwide network of distributors they can offer unrivalled quality and lead times. The original tension load cell has been serving the load testing and force or weight measurement industries since 1979. DNV Type approval, ATEX/IECEx available as well as Bluetooth options! 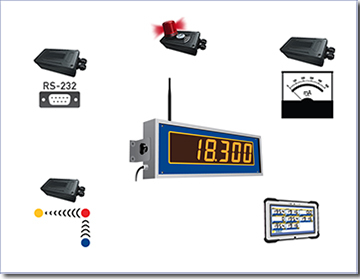 These Load monitoring systems are available in telemetry/wireless (RLP), self-indicating (LLP) and cabled non-indicating (WLP) versions. Towcell a 25kN, wireless tension load cell specifically engineered for the emergency services, salvage and 4 x 4 industries. 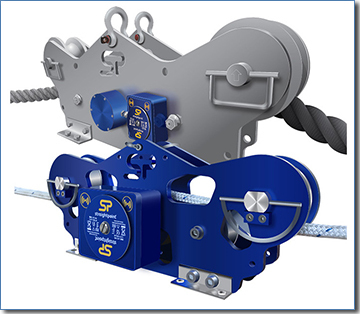 Ruggedly built and highly accurate load link style load cell dynamometers allow for force and load monitoring across a broad range of industries and applications. 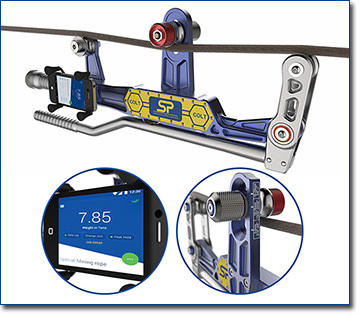 Straightpoint's latest innovation the Clamp on line tensionmeter, featuring a Bluetooth COLT App for iOS and Android mobile devices. Easy to use and lightweight with an unlimited database of wire ropes this is a favourite for companies such as Crown Castle. It is particularly useful for guy wire maintenance on cell towers, bridges, stacks, antennas & masts and the erection of gin poles as well as measuring tension on elevators. 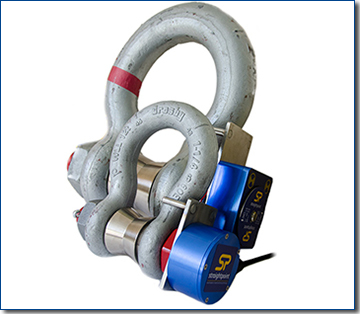 Straightpoint’s shackle load cell or 'Loadshackle' product line has been providing the lifting community with a low headroom load monitoring solution for over a decade. 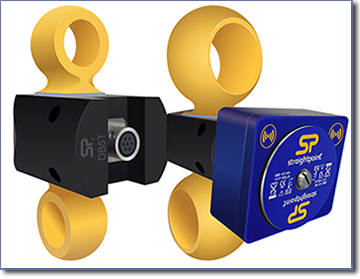 By integrating the load cell into the shackle pin the product provides for a compact and lightweight load monitoring solution while still meeting industry SWL and accuracy requirements. 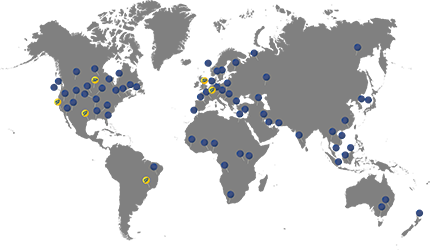 These popular LMI Systems are available as cabled or telemetry wireless loadcells. The TIMH - running line tension meter range are built with dockside, marine, offshore, towage and salvage applications in mind. It is particularly useful where there is no anchor or dead end on the line to rig a Straightpoint Radiolink or Loadlink digital dynamometer to measure tension force. The CableSafe is for electrical and communication cable pulling and connects via straightpoint free HHP-App Bluetooth. 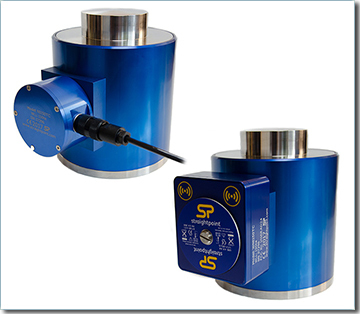 The Straightpoint range of wired and wireless compression load cell product lines combine heavy duty construction, industry leading accuracy and high capacity into a cost effective weighing and load monitoring product. Straightpoint compression load cells are utilized every day in compression force testing, structural weighing and for the conformation of mass and centre of gravity. Available as cabled or wireless to suit your application. 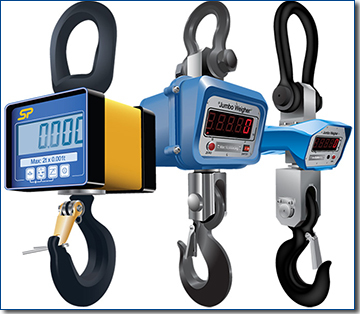 The Jumboweigher range of Crane scales provide a cost effective solution for those who are looking for an affordable, heavy duty, permanent use crane scale. This cranescale is available in three capacities 5t, 10t and 20t. Straightpoint’s Miniweigher plus is the mini crane scale with big crane scale features. The unique low headroom design combines the ability to lift loads with capacities up to 30 tons with state of the art electronics, high accuracy and resolution of over 5000 divisions. 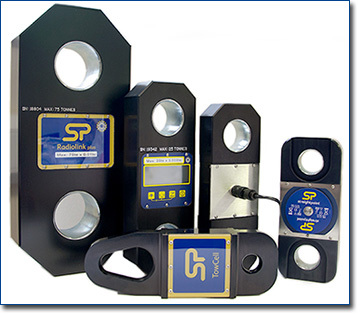 Our loadpin loadcells and S-Beam load cells are perfect for OEM projects, custom test machines or for monitoring load in a manufacturing environment requiring closed loop feedback and controls. Both product lines can be used with our (HHP) Handheld Plus display, Desktop Controller software or configured with an analog output module and are supplied with certificates of proof test, calibration and conformity. Linear Displacement Transducers are supplied with our SA700C wireless transmitter and for the first time allow distance or length measurement alongside load from a SP load cell to be measured and logged. 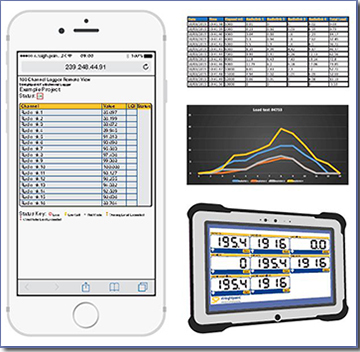 Our load monitoring software packages provide user friendly, cost effective load monitoring solutions for a broad range of industries faced with increasingly complex load monitoring applications. Available as wireless telemetry or cabled solutions these creative solutions allow for report printing, confirmation of mass and centre of gravity, simultaneous display/monitoring, totalising and data logging of up to 24 Straightpoint Wireless Load cells. 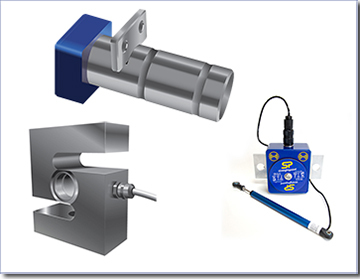 Straightpoint’s full range of wireless accessories allow for the simple integration of a wireless load cell into more complex load monitoring systems used in variety of manufacturing, rigging, weighing and transportation industries. Signal Boosters, base stations with digital or analogue outputs or large LED slave displays are all available from the Straightpoint range of wireless accessories.